Learn Web Development With These Online Courses! For beginners and experts: We have compiled a list of 15 selected online courses about web design and programming. Become a web developer fast! In no other area are there so many online courses, MOOCs (massive open online courses) and online lectures as in computer science. You can find more than 2,000 CS courses from various providers in our course directory. Courses on web design and development are growing particularly fast. These skills have also been in strong demand on the labor market in recent years. Of course, as a complete beginner you could initially start by checking out some YouTube tutorials to get a basic sense of web development and design. However, if you really want to be trained properly, there is probably no way around taking a full course. There are already approximately 100 courses on this topic in our search portal. Online learning provider Udemy gives newcomers without any prior knowledge a comprehensive introduction with its course "Web Design for Beginners". Here, you can learn the fundamentals of HTML and CSS, and pick up the basic skills necessary to create a website. The course takes a total of 9 hours. One of the most professional providers worldwide in the field of online coding courses is Codecademy. In its course "Make a Website", learners quickly explore the foundations of web design without wasting much time. After just a few clicks, you'll find yourself in the middle of HTML programming. Joining this course is possible at any time. If you want to make it even easier, start with WordPress. This free-of-charge, multi-million-user content management system allows you to quickly design websites and blogs using prebuilt tools. In Lecturio´s "WordPress Package", participants can get a quick start with about 30 short video lessons. It includes designing pages as well as security and marketing aspects. In addition to the above-mentioned beginners' courses, there are, of course, far more detailed online courses about web design and programming. So, if you are serious about it and you are planning a career in the development of websites, you can find many great course packages. Udemy´s "Web Developer Bootcamp", for example, gives learners more than 300 video lessons of key web development skills. MOOC platform edX provides participants with HTML5 and CSS skills in a 6-week online course. The course was developed together with the "World Wide Web Consortium" and can be completed flexibly. A similar series of online courses is provided by Treehouse, which offers a "Techdegree as Front-End Web Developer". This includes 30 courses, 12 projects and 174 hours of total running time. 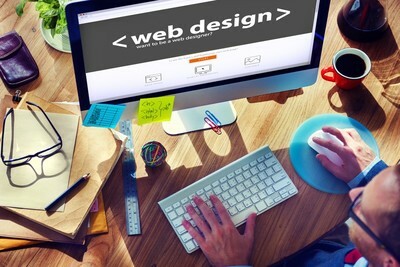 Even those who are already familiar with the basics of web design can continue to study online. The video course "Website Performance Optimization" by Udacity, for example, explains how browser display and load time of websites can be optimized (only recommended for learners with previous knowledge). Interested web designers can develop their skills through video courses in various special areas, such as in the creation of high conversion web forms, in selected HTML5 features (e.g. geolocation) or even in web security concepts. And if you want to go one step further, you might also be interested in learning how to make your website a success. Search engine optimization (SEO) is a key skill for web experts. To learn this, you could have a look at the course "SEO Training", which teaches the basics of Google search performance in about 3 hours. It includes On-Page Optimization (i.e. organizing your own page) as well as Off-Page Optimization (i.e. external links to your site). The video course about "Advanced Search Engine Optimization Strategies" (provided by Coursera) involves the head of "Global Search Marketing" for Adobe Group explaining important expert tips. Also relevant for successful website operators is the usage of social media sites like Facebook, Twitter, etc. Northwestern University´s "Social Media Marketing Specialization" is one example of a course series that teaches basic principles of social media marketing. The courses listed above and approximately 2,000 further computer science courses are included in our directory. Are you interested in online courses? Register for our newsletter here. Or follow us on Facebook or Twitter!